After "Schattenkrieger" and "Lichtgestalten" here comes the third and last part of the trilogy. Neoclassical and electronic arrangements fullfilled with passion and energy. This is the first release with the official new member Lionel Verney (Verney 1826), who was already a cooperating partner on earlier split-releases. Still dark and melancholic in Schattenspiel's own style but really -out of the dark- with the urge to reach light. Hypnotic and dreamlike, but nevertheless powerful and aiming for catharsis. 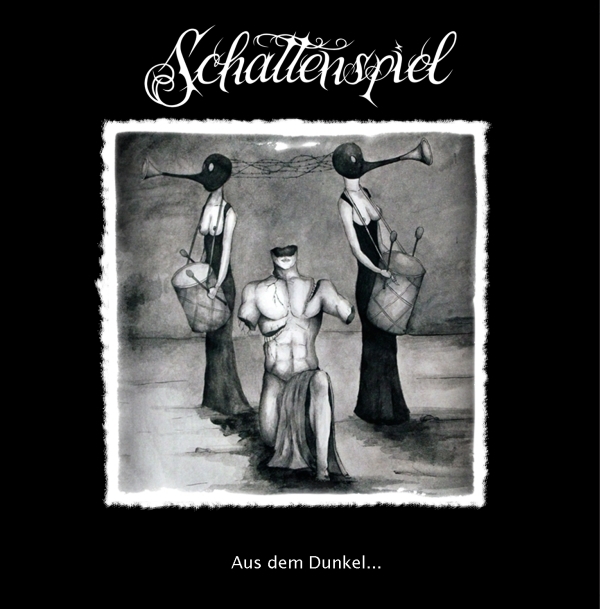 Although this album is mainly produced by Sven and Lionel, four songs a made with the collaborative partners Stahlplanet ("Zirkulat"), Acta Non Verba ("Der Vorhang ist gefallen"), Art Of Empathy ("Good Morning Sick World") and Jörvallr ("We shall fight"). The cover and backcover artwork was made by Fdo016.